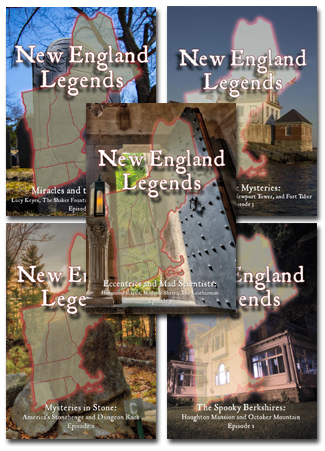 Author and adventurer Jeff Belanger explores the folklore of New England. SPRINGFIELD, Mass. 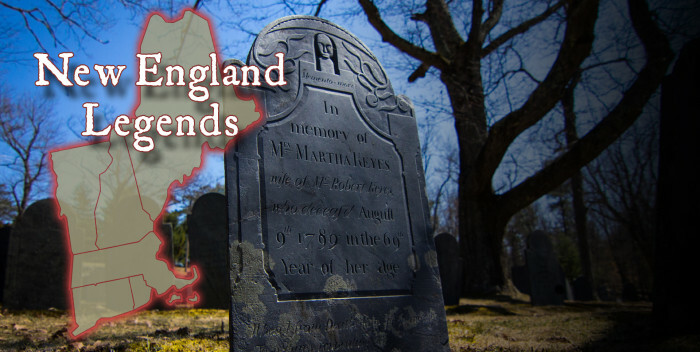 – October 20, 2014 – New England is full of ghosts, monsters, and other mysteries that are more than just campfire tales. 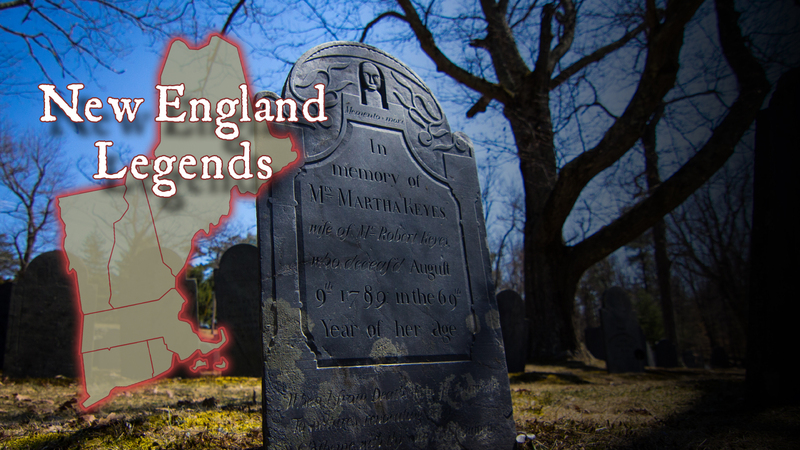 These legends and lore are as much a part of New England History as are the famous ancestors whose names grace our towns and schools today. Just in time for Halloween, WGBY in Springfield, Massachusetts, Rhode Island PBS, and Vermont PBS will be broadcasting the series including “Miracles and the Missing”—the latest episode of New England Legends. In 2015, the “Maritime Mysteries” episode of New England Legends was nominated for an Emmy under the “Magazine Program/Special” category. This was the second Emmy nomination for the series in as many years. “Miracles and the Missing” explores some of the greatest haunts and mysteries New England has to offer. The episode opens with the legend of Lucy Keyes, the story of a young Colonial girl who went missing in the vicinity of Mt. Wachusett in 1755. Her mother’s spirit has been looking for her ever since. Next, viewers see a nineteenth-century advertisement for Shaker Medicinal Spring Water. “This water smites disease and death,” the ad claims. Could the fountain of youth be right here in New England? A trip to the local cemetery reveals some startling findings. Finally, we travel to the Berkshires of Western Massachusetts to hear about a 1969 UFO encounter that just made history as the first UFO experience to be incorporated into an Historical Society’s official records. Jeff Belanger (www.jeffbelanger.com) is a New England native, author, adventurer, and one of the most visible and prolific explorers of the unknown out there today. Since 1997, the journalist has interviewed thousands of eyewitnesses to unusual occurrences. He’s the author of more than a dozen books on the paranormal (published in six languages) including the best sellers: The World’s Most Haunted Places, Weird Massachusetts, Our Haunted Lives, and Who’s Haunting the White House? (for children). He’s the founder of Ghostvillage.com, the Web’s most popular paranormal destination according to Google.com, and a noted speaker and media personality. He’s also the host of the cable/Web talk show, 30 Odd Minutes which is available in over 9 million homes in the United States. Belanger has written for newspapers like The Boston Globe and is the series writer and researcher for Ghost Adventures on the Travel Channel. He’s been a guest on hundreds of radio and television programs including: The History Channel, The Travel Channel, Biography Channel, PBS, NECN, Living TV (UK), The Maury Show, The CBS News Early Show, FOX, NBC, ABC, and CBS affiliates, National Public Radio, The BBC, Australian Radio Network, and Coast to Coast AM. Award-winning television producer Tony Dunne has called New England home his entire life. After studying film and television production at Emerson College and the University of Massachusetts, Dunne has spent the past 15 years working as a producer in news, commercial, independent, and most recently public television at PBS honing his storytelling skills. He has produced magazine programs, nightly newscasts, quiz shows, lifestyle and health programming, as well as the nationally-distributed documentary Things That Go Bump in the Night: Tales of Haunted New England for PBS.